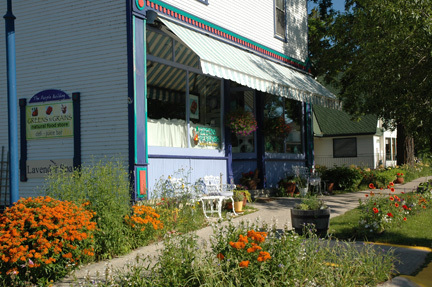 Greens N Grains is Door Countys first and only full service natural food store. Located in a historic building in the heart of Egg Harbor which housed one of the Countys first mercantile stores, Greens N Grains provides a natural, organic option. GNG carries a full line of natural groceries including local, organic produce, poultry and meat, supplements, personal care items and educational materials. Better health begins by walking through our door... Greens N Grains.